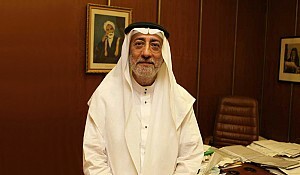 Jameel A. Al Molhem graduated from King Fahad University of Petroleum and Minerals, majoring in marketing. 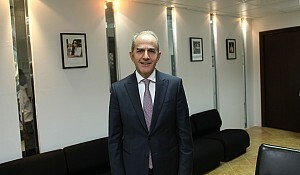 He then worked in investment, foreign exchange, and bond trading at the Saudi British Bank, which was an affiliate of HSBC at the time. 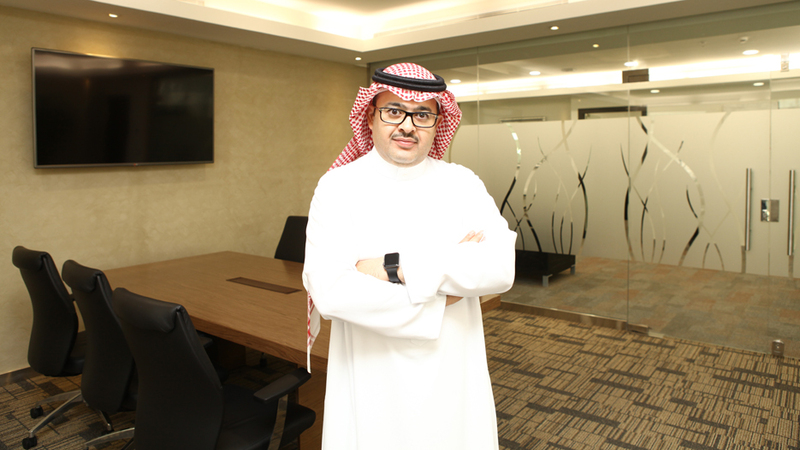 Mr. Molhem worked for STC for 12 years in various capacities, leaving as the Head of Operations for Saudi Arabia. He has been at the Shaker Group for two years. In light of everything going in in the global economy as well as locally, what is the outlook for Saudi Arabia's retail sector? Shaker is in the retail and project market. We supply durable goods, mainly air conditioning through our partnership with LG and also home appliances with Whirlpool Group & Midea Group. This has been the story of Shaker for the past 60 years. We hold a dominant position in that market, especially in AC. The sector itself is very resilient; given the demographics of the Saudi economy, it can easily withstand recessions. The project market, on the other hand, is more vulnerable to economic cycles. Last summer, the heat index reached an all-time high. ACs are a necessity here, and that positions Shaker Group well to resist any potential crisis. 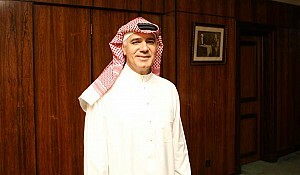 What makes you so sure that the Saudi customer base is so strong, has so much potential for growth? Air conditioning, for example, will see a lot of new regulations, and there is always talk of energy conservation, preserving water resources, etc. The demographics in Saudi Arabia lend themselves to spending. Many Saudi graduates, both male and female, are coming into the employment sector and will have disposable income. We anticipate a major housing boom, for example. 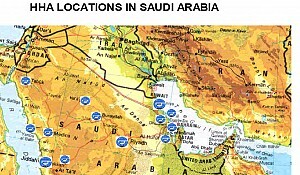 For one thing, there is the natural growth and urbanization of the Saudi population which will boost the market. And the government is looking at housing projects as well as taxation initiatives for undeveloped lands. This will encourage a range of demographics to turn to the housing market, and then that, of course, will reflect on the appliance sector, ACs and the like, which are household staples. This will encourage a range of demographics to turn to the housing market, and then that, of course, will reflect on the appliance sector, ACs and the like, which are household staples. Of course, energy management and energy savings are pivotal themes, and every organization will have to implement these into their strategy. The government has been very clear about its intention to preserve electricity, and has enforced this particularly stringently for AC. Some 60% of housing-related electricity is consumed by air conditioning. Improving energy standards and implementing regulations for AC units are ultimately saving a lot of funds which then need to be put into electric power plants. That is why the AC units sold on the Saudi market have such high standards. Looking forward, there will be many regulations to do with the energy footprint of commercial entities-- industrial plants, etc.-- which will foster a new economy in the market. We need to look at how we can support these organizations in achieving optimal energy savings. This is something that we at Shaker have started to invest in through our subsidiary energy management services company. Right now, we are very bullish in that segment, especially as there is a major catalyst which is the electricity tariffs re-balancing. This boosts equipment and services, among other things. Of course LG is one of the leaders in appliances and ACs. It seems rather well-positioned in terms of the more stringent regulations. Is that so? We moved to 9.5 Energy Efficiency Rating, then we moved to 11.5 EER. LG has the global know-how. They have seen regulations maturing in markets like North American and Europe. We have our strategic partnership and our local Saudi factory, so that is a plus for Shaker. The company was the first to introduce an energy-compliant product, and now we are embracing a new technology, invertor technology, with our partner LG, which will ensure maximum energy savings. The mandated energy savings is 11.5 EER but some of our AC models already offer as much as 16.5 EER. The stringent regulations will put the cheap ACs out of business so you will do even better. Also, you acquired a company in the UAE which is focused on preserving energy and water on an industrial or commercial scale. What are your strategic priorities for 2016 locally and internationally? 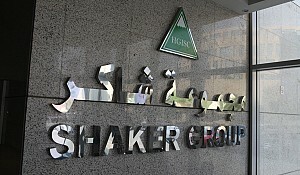 Shaker Group runs on a five-year plan, and everything goes into the execution of that plan. For 2016, we are prioritizing the introduction of our new ERP system which we have just launched company-wide. The aim is to bring that system to a mature level, and also to begin to reap its benefits in such areas as supply chain, demand forecasting, and consumer insight. The second priority is human resources. If you have access to suppliers and the right systems, you also need the right team in order to execute your strategy. Putting these teams together and nurturing them, giving them the right training and access to the right information and systems, will allow us to step ahead in the execution of this strategy. On the international front, the company is present in Jordan with our subsidiary. They have the exclusive dealership, exclusive partnership with LG across all of the categories: appliances, ACs, consumer electronics, and so on. 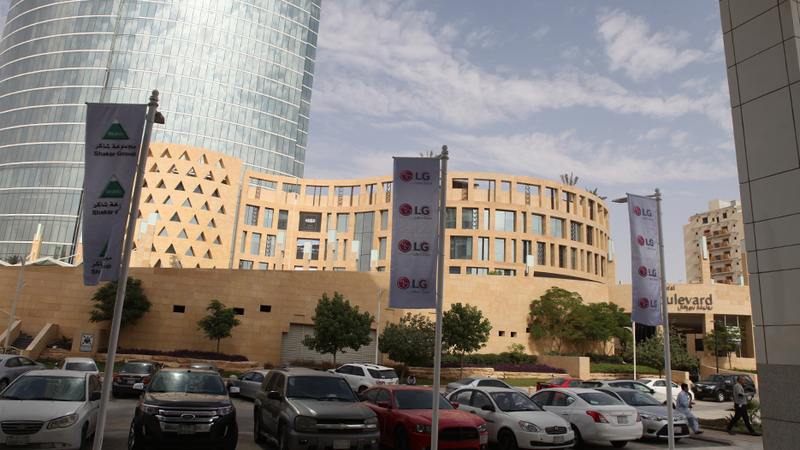 The Group owns a similar stake in a Lebanese company which also partners with LG. In the United Arab Emirates, this company has an important subsidiary which is the energy management services. They have done energy audits for mega projects-- the Dubai Mall, to name one-- and they have a strong web of existing relationships in the UAE. So it is that know-how on energy relations' maturity-- especially in Dubai-- that we can bring to the Saudi market at exactly the moment these services are in demand. We strongly believe that energy management services are going to be needed going forward in Saudi Arabia and all around the region, for that matter. Well, the government is reviewing its options, figuring out how to optimize these expenditures. The subsidies are unsustainable as such and the market is poised for re-balancing. This will force the commercial entities and individuals to invest in efficiency. The oil simply must serve the generations to come. It is the responsibility of the entire country to contribute to these sustainability goals. That this is the intention of the Saudi government is very clear. What is your approach to strategic branding and CSR? At Shaker, part of our strategy is also to strengthen our marketing activity across the many fronts of marketing. Now more than ever, we need to be mindful of our role as a player in the digital world. It is a necessity for any organization to have the right level of engagement with its customer base and with potential customers. It is not enough to just have an account online, but you need an engagement strategy on top of that. Our key priority is to embrace the digital world and to have Shaker strongly and effectively present. It is at the heart of our strategy going forward to have more consumer insight to know more about our customers, their likes and dislikes. 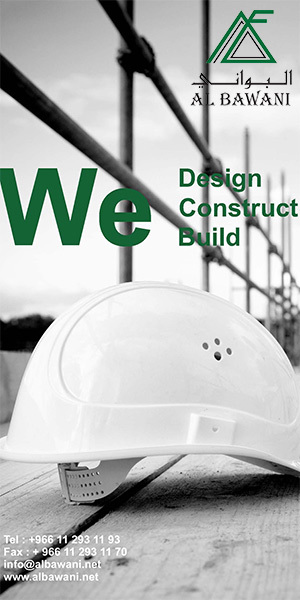 We want to be there for them to provide the right products and to anticipate any after-sales needs. This is critical, but can be delivered through the many platforms that are available to us today. At the same time, you are a leader in after-sales service. While your products can be a bit more expensive, you do get the warranty, the services, etc. included. Exactly. Given the premium products that we supply to the market,-- those being chiefly the AC products and the products from Maytag, Midea, Bissel, Indesit and Ariston, which are all global brands with world class products in and of themselves-- for Shaker, our part is to provide that customer commitment through our widespread relationship with our trade partners, and also to offer superior after-sales service. We have more than 600 employees on staff in the organization who support our products at 23 locations in the Kingdom. This is an unparalleled network which differentiates Shaker. Our after-sales service is unquestionably among the best in the Kingdom. It is a great combination and gives our customers peace of mind when making their purchases. For our LG ACs, we have a dominant position in the residential AC market. The Group has around 27% of the market share, and we provide product value, technology, and a long product lifetime, along with the cost of servicing that product over its lifetime. In the appliance business, we are very proud of our relationship with Whirlpool and also with Midea from China, another tier one provider. We have also complemented that line by acquiring a company which has the Bissel brand of floor care and vacuum cleaners; they have been an industry leader in North America since the 1900s. Bringing all of these brands together, that is, having a total package when it comes to ACs and appliances, is what we are striving for-- it is very important to us. We continue to add brands to our portfolio and to improve our product features. Since the company provides sales mainly through the trade network, we are looking at our showroom now with a different concept: it is becoming more experiential. Our new showroom in Jeddah will open in first quarter 2016, and we are changing the way we display our products so that you walk in like you would walk into a home; you go into the kitchen and you can look, see, and feel all of the appliances live, in action. The same goes for the ACs and the air filters. We also want to give you a sense of what is coming next, so the appliances are always there but they are going to change with the internet. The IOT (Internet of Things) is quickly making its way to appliances and AC. Very soon, you will see all of your home devices in communication with each other, providing you with notifications. You will be controlling them remotely. This is something that we and our partners are working on bringing to the market. The IOT (Internet of Things) is quickly making its way to appliances and AC. Very soon, you will see all of your home devices in communication with each other, providing you with notifications. You will be controlling them remotely. This is something that we and our partners are working on bringing to the market. What do you feel are the most significant challenges? Because of your large workforce, the minimum wage regulations could certainly cut into your profit. The challenge for Shaker and, I imagine, for a lot of Saudi corporations is that Saudi Arabia is maturing very fast in terms of laws and regulations. These organizations need to be able to adapt to those laws and regulations and ensure that they do not impact the profitability nor the overheads of the organization, nor the ability to introduce the right products at the right time to the market. Being very focused on what is coming next-- and being well ahead and prepared for those changes-- is key. Given the economy and the typical cycle of boom and bust, we are seeing organizations focusing more on optimizing costs. You need to align and make strategies in order to take advantage of any opportunities, and that is something we are doing through a lot of various initiatives, and also knowing what kind of products are in demand, the price point of those products, the feature sets of those products, and that sort of thing. The rise in interest rates is going to pose a challenge to corporations worldwide. That is something that you can only offset through very smart working capital strategies. You also must be sure that costs are optimized and growth avenues are identified to manage the coming rise in interest rates. Another thing to consider is the opening of the Saudi Stock Exchange to international investors. The top players all demand transparency, access to information, and investor relations functions. They also compare you to global organizations. This is a call to every organization to step up its game and earn that kind of renown. We are embedding this in our strategy now: how to step up and benchmark ourselves with our appliances and AC manufacturers and distributors globally. We are looking at all of the necessary elements: e-commerce, fulfillment strategy, service supply chain network, etc. All of these are open for us, but the fact is that Shaker has what it takes to step up and be globally bench-marked. We are looking at all of the necessary elements: e-commerce, fulfillment strategy, service supply chain network, etc. All of these are open for us, but the fact is that Shaker has what it takes to step up and be globally bench-marked. What is your vision or business model for the company? Traditionally, companies like yours received a trading license and they were the exclusive distributors of certain products. These business models are changing and competition is increasing. How are you evolving the structure of your business model? 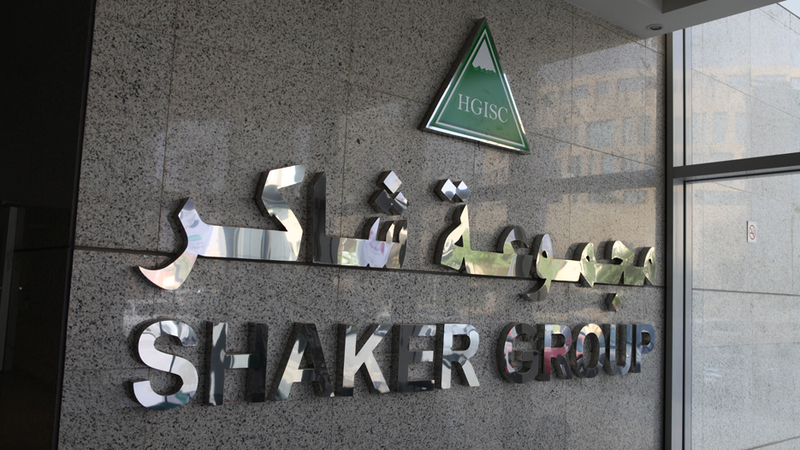 Since 2007, Shaker has transformed from a pure trading organization to a manufacturer and distributor for LG. As I said before, bringing that manufacturing, the R&D and all of the other know-how to the Saudi market figures in sustainability, contributing to the local economy. The fact that you import and trade or distribute is important and we are proud of the roots we have, but it is also important to add value to the local economy. That is what Shaker is doing; we are looking at how we can make sure that whatever we are doing with the local economy or the suppliers that we work with adds value at every point, whether that is the supply chain, know-how and network, access to the trade relationships, our expansion into other locations, or our investment in after-sales. 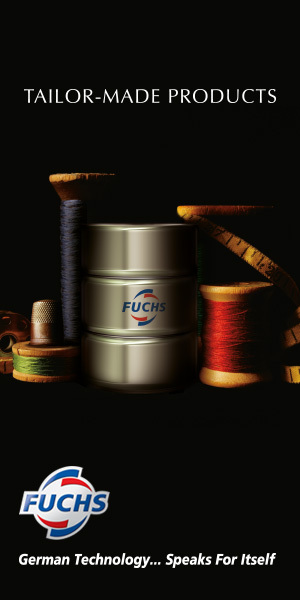 We aim to have a very robust organization and an appealing model towards the consumers and suppliers. We are keen to add to this and make sure that we have the right form to fulfill all of the aspirations from our shareholders, consumers, employees and suppliers. In the residential segment, we supply about 60-70% of the local market though our LG-Shaker factory in Riyadh. We are also running a good number of exports through the factory; that is a great play and great added value. We want to take this success and build on it with other relationships, or by extending our portfolio offering from that manufacturing facility.